Herbert Howells’s style, immediately recognisable for its long melodic lines, rhapsodic nature and rich harmonies, defined the sound of English cathedral music in the 20th century. His studies in London imbued his works with sophistication and a French influence, which were intertwined with a nostalgic ‘heart-ache’ for the ‘real Gloucestershire’, as can be heard in String Quartet No.3. The charming little character stories in Lady Audrey’s Suite tell of countryside and church, while the Piano Quartet in A minor is dedicated ‘To the Hill at Chosen and Ivor Gurney who knows it’, portraying a favourite local vantage point at different seasons as well as poignantly remembering a lost friendship. 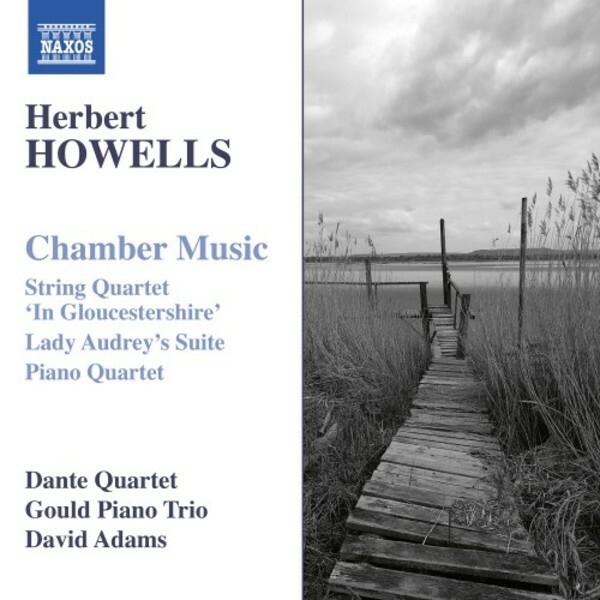 Naxos have long had a warm affection for the music of Herbert Howells, with recordings that have included his deeply personal Hymnus paradisi (8570352) and the Stabat Mater (8573176). This new programme of his earlier chamber music complements one with musicians from the mobius ensemble released in 2004 that includes the Rhapsodic Quintet (8557188). This was summed up by Gramophone as ‘Rewarding repertoire, handsomely served by this talented, multi-national ensemble’. The Gould Piano Trio has provided us with a growing discography of excellent British chamber music, including works by Arnold Bax (8557698) of which Gramophone wrote that ‘Enthusiasts can rest assured that these admirably agile and idiomatic performers give Bax’s youthful inspiration every chance to shine; indeed, it’s impossible imagine a more convincing account of the Trio.’ Gramophone also admired their ‘magnificently stylish’ recording of Stanford’s First Piano Trio (8572452).